In developing countries, the dairy industry has an important role to play in food and nutritional security. 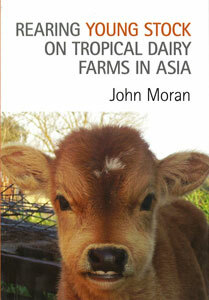 To assist Asian countries improve their dairy production and develop their local milk industries, we have supported a number of dairy books over the years by Dr John Moran, a retired Australian senior research and advisory scientist from Victoria’s Department of Primary Industries (DPI). While working for DPI, he spent half his time advising farmers in southern Australia and half his time working with dairy farmers and advisers in South and East Asia. He currently manages his own consultancy firm called Profitable Dairy Systems. John’s books are published by CSIRO and to ensure the widest availability, it is possible to download them by chapters from the internet. The four books form companion publications to each other. 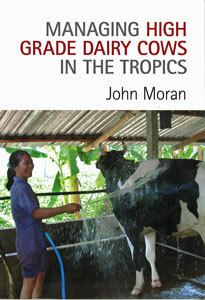 His 2005 book, Tropical Dairy Farming, has proved itself a useful manual for dairy production advisors working in tropical areas, especially in South-East Asia. 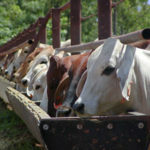 His 2009 Business Management for Tropical Dairy Farmers gives smallholder dairy farmers the business management skills they need to remain sustainable. In November 2012, he had two further books published by CSIRO, again with Crawford Fund support. Rearing Young Stock on Tropical Dairy Farms in Asia, addresses all the major concerns of the small holder dairy farmer in Asia. It shows how to attain optimal growth in young stock, so that as cows, they can calve at an appropriate early age at the lowest cost and promptly substitute for any cows culled from the milking herd. This provides continuing returns on the investments of feed, labour and other farm resources. The book encourages the small holder dairy farmer to maintain their investment in replacement heifers and gives them the tools necessary to achieve realistic targets for mortalities, live weight gain, mating age, and age and live weight at first calving. Managing High Grade Dairy Cows in the Tropics addresses the entire range of management practices found on tropical small holder dairy farms, highlighting those which are likely to adversely impact on heifer and cow performance, hence farm profitability.